The world that my Grade 5/6 class is currently inhabiting is the world of Anne of Green Gables. I didn’t know when I chose to read this novel with them that a new series based on the book would simultaneously appear on TV. As the students began to come into class talking about the series, I wondered if I should ask them to critically evaluate it against the book. As it happened, I didn’t need to say anything about that at all; they independently began making the comparisons and concluded that the series, although entertaining, was not true to the book. That world depicted on the TV is another world, but it isn’t the world that L. M. Montgomery created. Somehow I didn’t expect that my students would be loyal to the book at all; in fact, I was almost dreading starting the novel with them, because I wasn’t sure that the boys would receive it enthusiastically. But I was wrong. As we open the book together day by day and step into Anne’s world, my boys are the ones who laugh the loudest and longest at Anne’s exploits. While there is some eye-rolling at her flowery language from time to time, and some remarks about her extended monologues (“Was that whole chapter just Anne talking?”) on the whole, they are rooting for her. What is it about Anne that endears herself to us? She is inexplicably relatable, while simultaneously unique and even eccentric. As we chuckle at her hapless, head-in-the-clouds ways and the scrapes she gets herself into, we’re actually laughing at ourselves. Her vanity, her pride, her stubbornness, her failure to control her tongue and temper – in all her failings, we see our own, and we’re invited to see the frailty and humor in the human condition. Anne’s so-called heathen ways are an affront to Marilla’s stiff religious sensibilities. Her stiffness in the light of Anne’s child-like questions calls us to examine our own rigid ideas about God and their source, and invites us into the freedom of Anne’s childhood wonder and delight. Anne has been like a familiar friend to me for decades. In my mind’s eye I see myself at eleven years old, sprawled out on a quilt beneath the blossoming tree in our front yard, an open box of Girl Guide cookies beside me. I’m stomach down, a cookie in one hand, Anne’s House of Dreams in the other, oblivious to all but the scent of the blossoms above me and the scene unfolding before me in my book. Like Anne, I was fairly red-headed and freckled, and loved learning, nature, and romance. The descriptions of her Prince Edward Island home were not unlike my Vancouver Island home; apart from the red dirt, of course. In Anne, I felt I had found what she called a kindred spirit. My grandmother also loved Anne. I once spent the evening with her, watching the Sullivan movie based on the book. Grandma delighted in Anne’s escapades, and it brought back memories of her own childhood on a farm in Star City, Saskatchewan. She vividly recalled to me her own one room schoolhouse, a hub in their small community, and farm life with both its charms and hard work. Not long before Grandma suddenly passed away, the women in our family had taken her on a special outing to see the Anne of Green Gables production at the Chemainus Theatre. My sister pointed out afterward that Grandma had never stopped smiling at any point in the performance. I brought the memory of that smile with me to Prince Edward Island last summer. Over thirty years after my first reading of the book, I was crossing the long bridge to the land of Anne. Part of me was resisting the association with Anne, wanting to enjoy the island for its own sake. 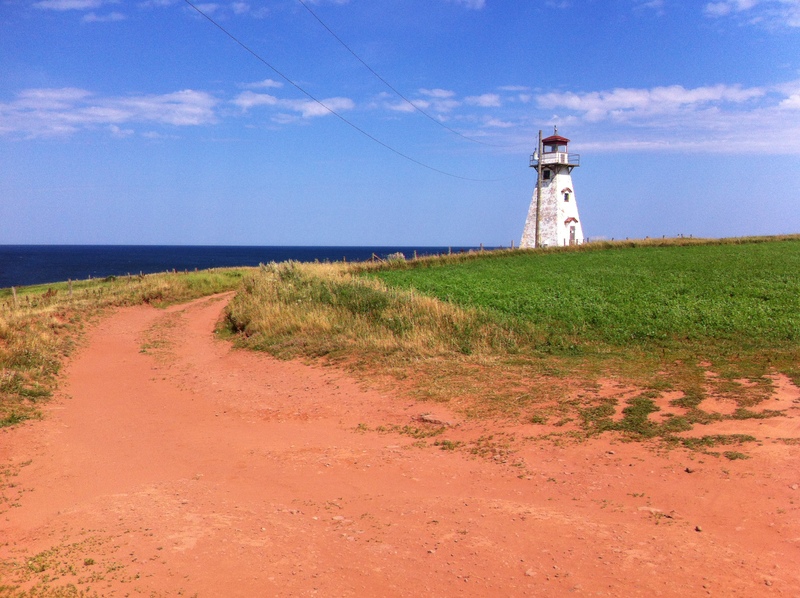 Of course, PEI has fully embraced Anne devotees, a boon to its tourism industry. Yes, there’s a lot of kitsch (like gaudy straw hats with fake red braids attached) but you can almost completely avoid the tackiness if you try. The spectacular scenery only improved upon the loveliness I had imagined while reading Montgomery’s descriptions of the island. Seeing the real-world PEI did not spoil my ability to live in Anne’s imaginary world, but rather enhanced it. In Friday’s Literature class, my students were debating why Anne had such a fine imagination but Diana appeared to have none. One student put forward the idea that your imagination is a product of the family you grow up in, and perhaps Diana’s family didn’t encourage it; another argued that you don’t get your imagination from your family because Anne didn’t always have a family – her imagination developed because she had to survive somehow as an orphan. Another student thought that Diana should have a good imagination because she read so much, but another commented that some people just like to see things as they are and they don’t like to imagine otherwise. I hope that in reading the novel, my students see the right use of the imagination as a good thing. “Miss Olesen, would you please come look at our food?” He was standing at the classroom door, grinning in his apron. Today was their first cooking class, and he wanted me to come and see what they had done. I had a pile of work on my desk to do. I’d just come back from vacation and was getting caught up. But I fought off the urge to read just one more e-mail. “Sure!” I said, getting up from my desk and following him to the kitchen. A group of four boys were carrying a platter of intricately arranged fruit toward the table in the gym. They were carrying it together very carefully to be sure it wouldn’t get jostled and spill. The smiling excitement on their faces said it all: they were pleased with their work. Slowly the other groups of boys and girls were making their way out of the kitchen in a similar fashion, all with beautiful trays of fruit. They placed them carefully on the table and gathered around. As I expressed my admiration for their lovely work, they beamed. It wasn’t just the pleasure in their work, or the fruit that they would soon enjoy. It was also the shared pleasure of the moment, of their accomplishment. 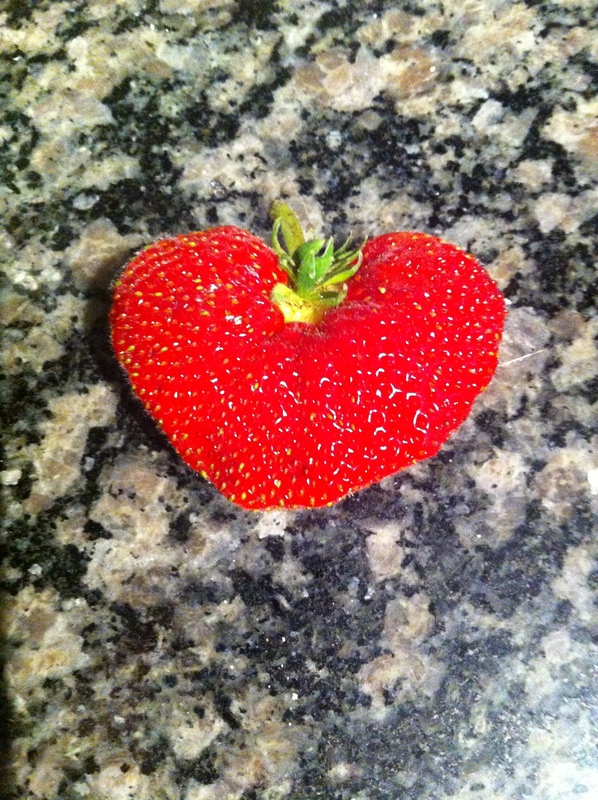 Yes, I was impressed with the fruit. It was gorgeous. But what was warming my heart just then was… them. They had done this together. They were going to enjoy it together. I pictured them in their own homes, in years to come, living like this. Shared food, shared joy. And I was thinking how this shared-ness of our lives speaks Christ to a watching world. I’m so glad he invited me to share in that moment, with them. What’s the difference between education and indoctrination? Many educators today refuse to openly discuss their personal worldview with their students, claiming that they would not want to unduly influence them. However, the teacher’s worldview is still very much undergirding their teaching, whether or not they acknowledge it. Students’ thinking will be shaped in some way by their teacher’s worldview; the question is, will it be done out in the open, with students being given the freedom to challenge it? An educator’s worldview may be shaped by their upbringing, their education, and their culture. Sometimes it may even be shaped by the government. The other night we watched “Under the Sun”, a documentary about life in North Korea. Actual footage was smuggled out of the country, past North Korean officials who did not approve the version we watched. The film features scenes from the North Korean educational system. 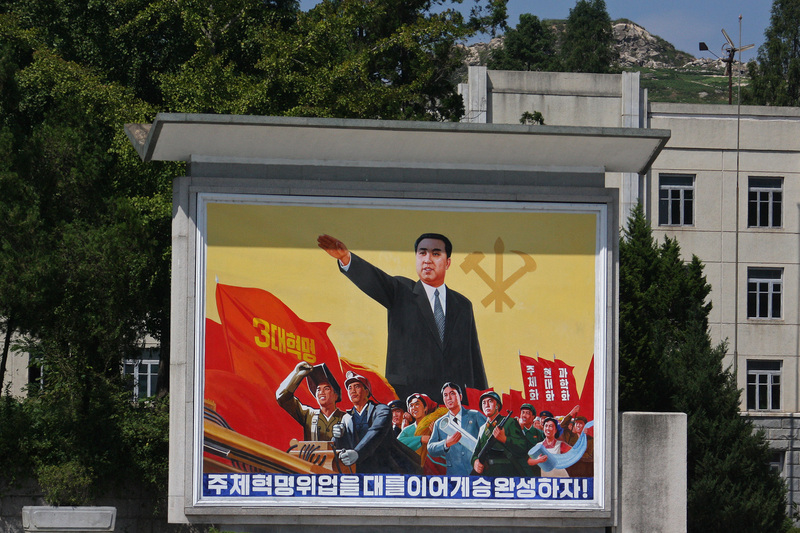 At the beginning of the school day, we see a line of students and teachers file quietly past a huge mural of the North Korean leaders, pausing briefly to pay homage to the images. Line ups are eerily quiet, with no one showing any signs of even the slightest rebellion against authority. Little girls gather in their classroom near a radiator that does not seem to be working, their breath visible in the frigid air. They begin their highly controlled and rigid lesson with their teacher, who leads them to an appreciation of their country’s leader that mimics and essentially mocks worship. The teacher uses a question and response technique that drills into the girls’ minds exactly what the government would have them believe about their world, and their country in relation to it. She is the passionate incarnation of the pride and hatred toward the western world, spouted by the communist regime. I wonder, is she merely playacting for the camera? Or does she really believe it? It seems that in North Korea, the children are forced to honor their political leaders above their own parents. The manufactured holiday, “The Day of the Shining Star”, is the country’s celebration of the birthday of the departed leader Kim Jong-il. This is the day they choose to induct children into the “Korean Children’s Union” where in the names of Kim Il-sung, Kim Jong-il, and Kim Jong-un, the inductees swear in accordance with the spirit of the “Great Generalissimos” to be reliable reservists in the building up of communism. The substitution of this unholy trinity for the Father, Son, and Holy Spirit is an obvious attempt to obliterate God from the consciousness of children and replace Him with the false gods of the North Korean leadership. Kim Jong-il is described in their induction as being “always with us” and having “sacrificed everything so that students will be happy and have a bright future.” He is called a “loving father” and it is asserted by the master of ceremonies that “the world has no other loving father” like him, who “sacrificed his entire life for the happiness of children!” After their swearing in, military veterans tie red kerchiefs around the necks of children: the noose of communism. The danger in our own country of children being indoctrinated with propaganda is also real. I recall an incident where all the students in a school were given pink t-shirts to wear, with this slogan emblazoned across the front: “Respect the right to be different.” The irony of everyone in the school wearing that same t-shirt seemed to be lost on the organizers. What does this doublethink do to a child’s mind? In a Christian school, the danger of indoctrination is no less of a threat. As Christian educators, we must train our students to demand convincing evidence before they accept statements, including ours, as truth. However, this does not mean that we neglect to teach our students that there is such a thing as truth. We teachers ought to be up front with our own ideological standpoint, while at the same time encouraging our students to challenge it through thorough examination and dialogue. Since we know that Christianity is a worldview that can withstand any testing, we can have every confidence in allowing it to be freely and rigorously tested and evaluated. *quote from Classical Education: The Movement Sweeping America, Veith and Kern, 2015, pages 49-50. I’m staying in my old bedroom at my parents’ for Christmas. Mom has a box in here with old Christmas movies, music and books. At the top of the pile I found some old carol song books. 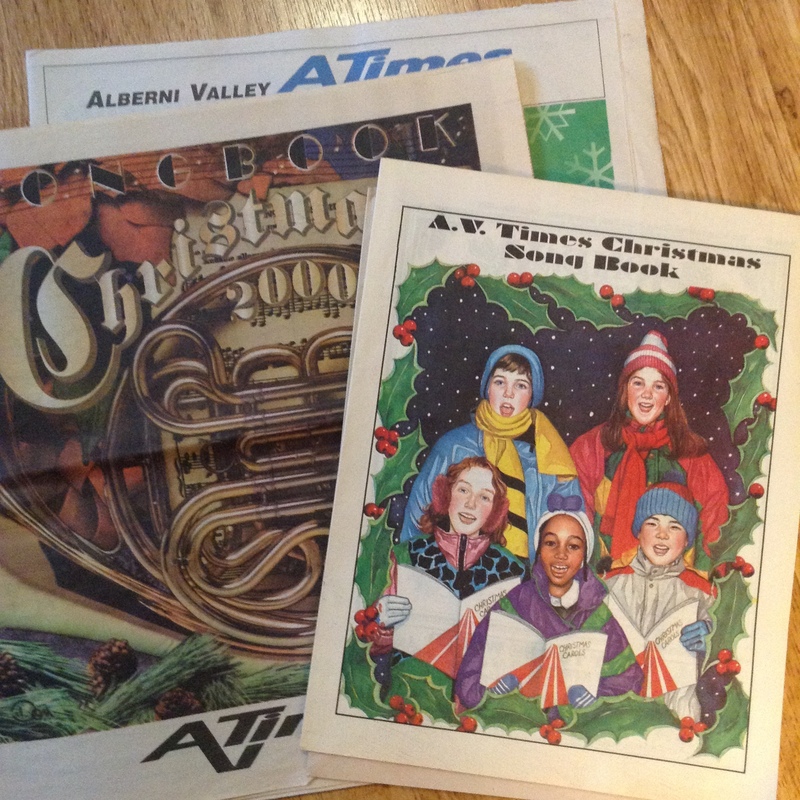 Our local newspaper, the Alberni Valley Times, used to publish these each year, but now have closed their doors. My Grandma also saved these so that we could sing together as a family. In the traditional Danish way, we’d have our dinner on Christmas Eve. After the rice pudding and the dishes had been cleared away, Grandma would bring out the coffee and cookies and then the song books. She insisted that we sing before opening any of the gifts beneath the brightly glowing tree. Even though some of the other kids were probably feeling impatient to get to those gifts, I loved this part of our celebration. I can still see Grandma sitting there by the tree in a pretty blouse, singing carols with glistening eyes. Usually my Auntie Carolyn (she was rightly named) and I would keep her company long after the others had stopped singing and were anxiously asking if it was time to open the presents yet. I’ve always loved carols. As a teen, I joined Pat Miller’s choir. Somehow she took a group of teenagers and coaxed beautiful sounds out of us. I remember how every December we filed into our darkened high school auditorium to the sounds of “Silent Night”, each carrying a single white candle and trying not to burn the hair of the person in front of us, as we made our way through the audience up to the stage for our annual Christmas concert. My favourite part of the evening was listening to the handbell choir perform. One time we were even invited to sing our carols for appreciative shoppers in Woodward’s department store. That all seems to belong to a long forgotten era, in this day of “winter concerts” with songs that wouldn’t dare to offend anyone. But would people really be so offended to hear carols sung in public? My most recent carolling experience tells me not. Our church was invited by the local business association to send a group of carollers up and down our street in Toronto on a Saturday afternoon. I did not expect the reception we had from the people on the street. Young people taking out their earbuds to listen and capturing us on their cellphones, older people joining in and singing, cars pulling up alongside and rolling down the windows to let the music in. A young woman who requested a carol (as she had never heard one sung live before) was moved to tears as we serenaded her. Carols touch the heart and move the soul with truth. Our own school’s Christmas concert this year was entirely carols and scripture. As I listened to the deep truths sung by young voices, my heart was glad. What is it about beauty that refreshes me and puts my mind at rest? It’s not simply looking upon a beautiful scene or object that restores and delights me. It’s looking upon that beauty and knowing that it has the very fingerprints of God all over it. The truth that it comes directly Him, and is a reflection of His beauty, is what gives everyday beauty meaning and causes me to delight in it. Betsie made that horrible place as beautiful as she possibly could for all of its inhabitants. Beauty is a gift that we can give to those who share the spaces we inhabit. What about when we live in a place in which it is more difficult to see beauty? In my former home, I was swimming in it… literally. 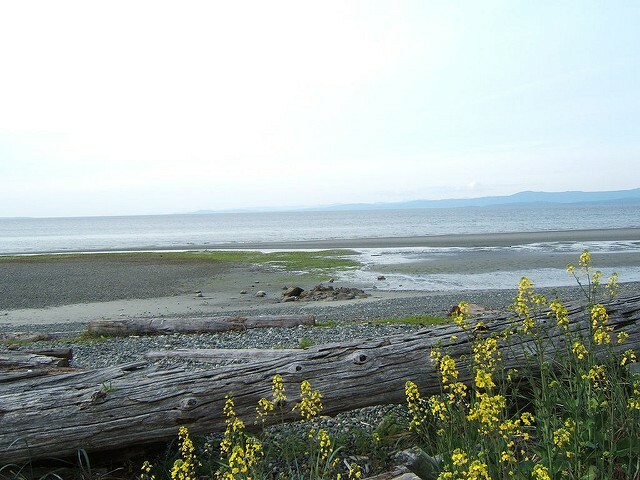 After school, I would walk down the road to the Strait of Georgia, where I might spy a blue heron standing on one leg, or spot a seal surfacing not far from the shore; all against the breathtaking backdrop of the coastal mountain range. 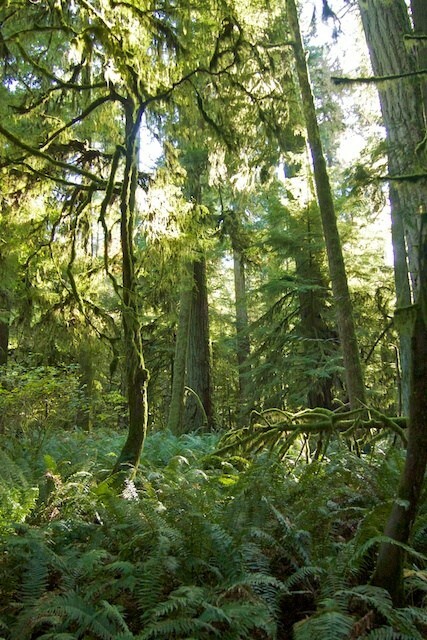 On rainy days, I’d go out my back door into the west coast rain forest, where the moss hung like tinsel from the fir trees, and the raindrops bounced off the lacy ferns that lay at my feet. I went through a kind of beauty withdrawal when I moved to the city. Beauty is here, but it isn’t as easy to get to. However, the joy and surprise when I unexpectedly encounter beauty now is a wonderful gift. 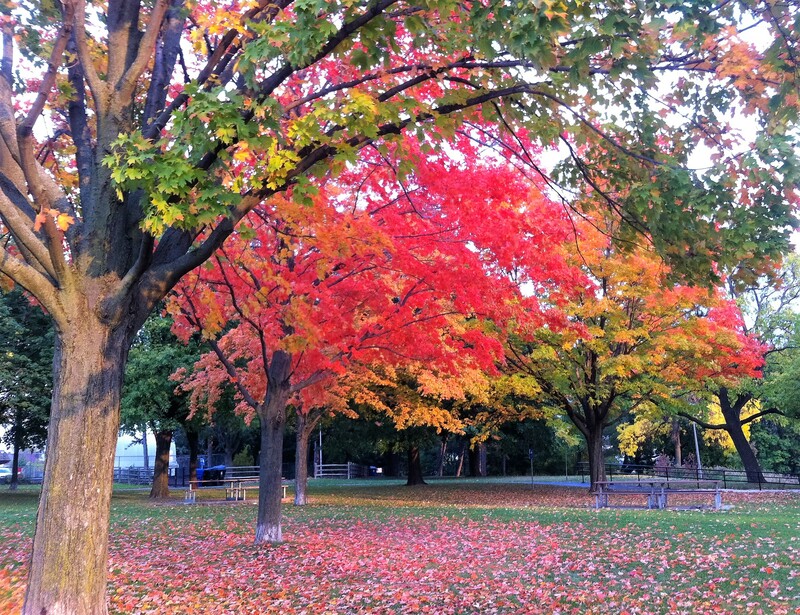 Today, I walked to a neighborhood park and spied some lovely trees all dressed in their autumn best, with a delicate carpet of leaves spreading out beneath them. I realize that I appreciate beauty more now when I see it. It’s like a cool drink of water in a desert of concrete and graffiti. It’s also a very special gift from the One that I love. When I appreciate His gifts, it causes my heart to rejoice in the Giver of those gifts. It reminds me of His beauty, for He is the most beautiful One of all. Lately I have been considering how we help children to appreciate and enjoy beauty as a gift from God and a reflection of who He is. Not beauty for beauty’s sake, but beauty as it points to God’s glory and grace. 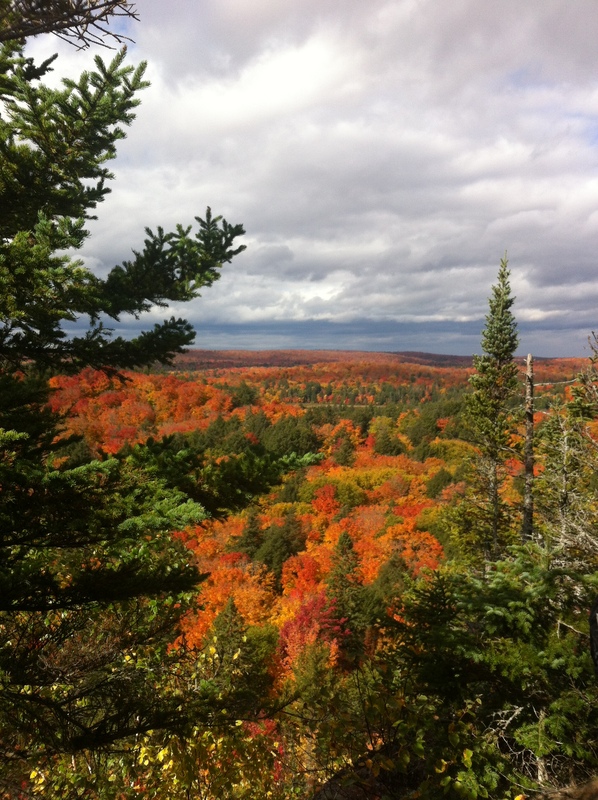 I was on a hike through some spectacular scenery recently, and one of my fellow hikers pointed out the hollowness of trying to enjoy the beauty we were surrounded with, if we didn’t have a God to thank and praise for it. I had to agree! Our loving God gives appreciating beauty meaning; otherwise our appreciation stops short of the full-orbed awe and wonder it was meant to provoke in us. When beauty leads us to rejoice in the goodness, power, and majesty of our God, then it serves its restorative purpose in our lives. It restores us to our humble position of gratitude before our Maker, the One who has made everything beautiful in its time. from p. 150-151, “The Hiding Place” by Corrie ten Boom with John and Elizabeth Sherrill, 1971, Chosen Books. 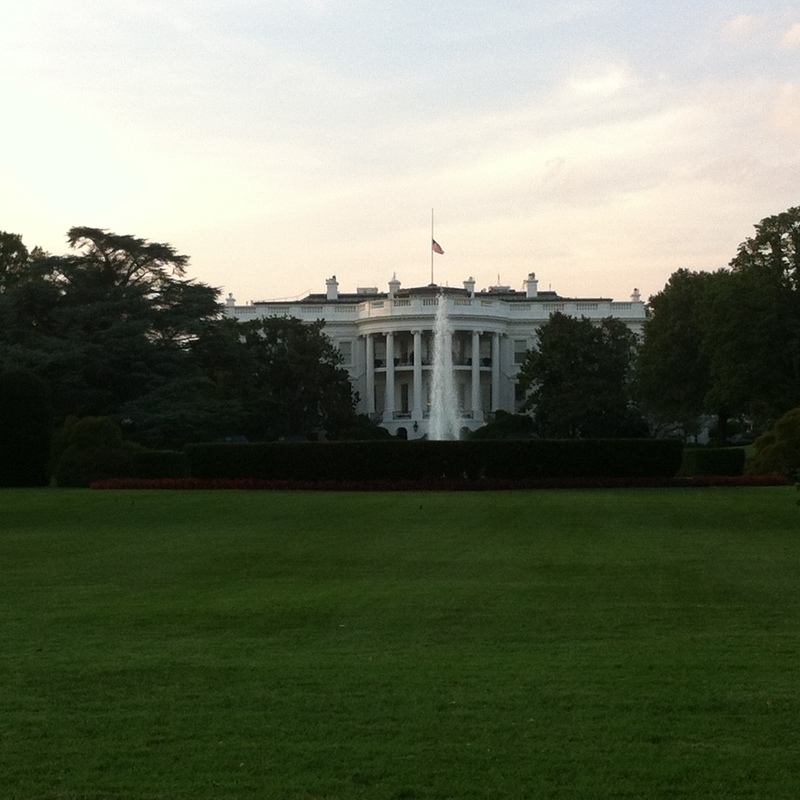 I was in a foreign land this past week: the United States of America! It’s amazing how foreign the U.S.A. can actually feel to a Canadian, even though it’s just across the border. Little things, from the all-green money to different names for common items, remind you that you’re not in Canada anymore. For example, teachers have to become familiar with the American use of the word “grade”: that’s “5th Grade” instead of “Grade 5”; and as a verb, it’s “grade students’ papers” rather than “mark students’ papers”. 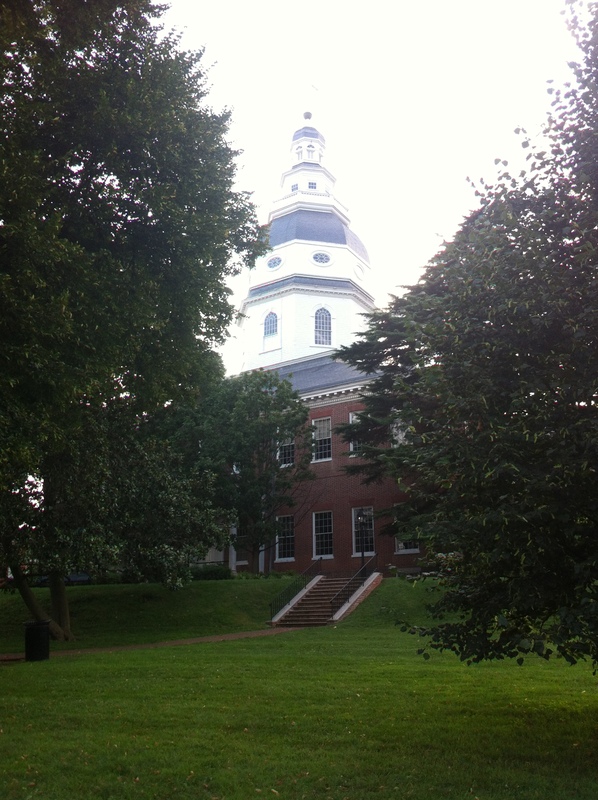 My destination was the state of Maryland, where I attended a teacher training conference put on by Rockbridge Academy, a classical Christian school in Annapolis. It was wonderful to meet and interact with my American colleagues! It was a week filled with both worshipping God and learning, reminding me how necessary these are to one another if we are to glorify Him. Our graduates will look like our faculty. Very sobering thought for teachers! (Matthew 10:24 says, “A disciple is not above his teacher, nor a servant above his master.”) We need to be passionate worshippers and lovers of God ourselves if that’s what we want our students to be. Our students should be able to hear the good news of the gospel woven in and through and underpinning all that we teach. Our discipline of them ought to be gospel saturated. It’s not about moralizing. It’s about continually pointing them to our need of Christ and His cross. Stories are powerful ways to communicate truth to our students without moralizing. We want to read them stories that help them to learn to love the things that God loves, and hate the things that God hates. That’s the goal. Some deep thoughts, and I’m fairly certain the full impact of this week has yet to hit me! Happily, I also had the opportunity to visit some local sites of interest. 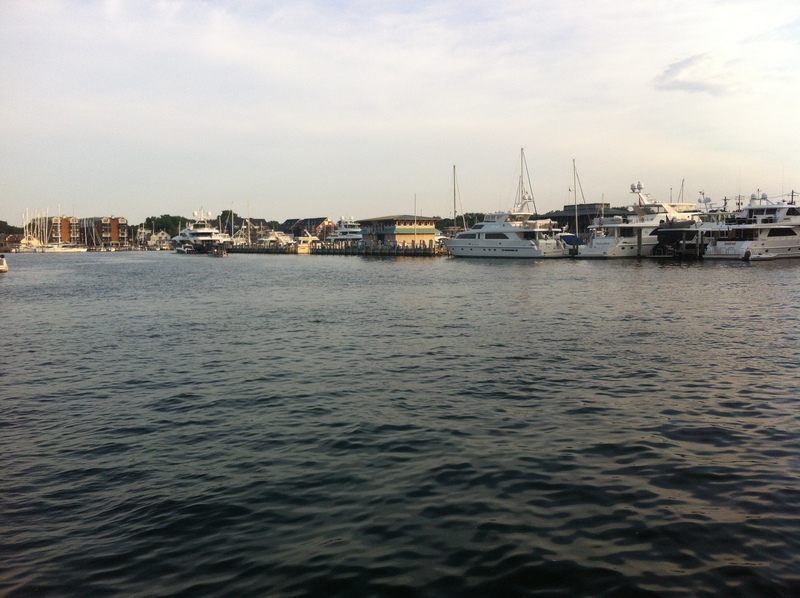 Annapolis has a historic downtown area, with many old buildings, brick streets, and a beautiful harbour. One evening in the harbour we were even treated to the sounds of a jazz band made up of men in uniform. The city is the home of the United States Naval Academy. 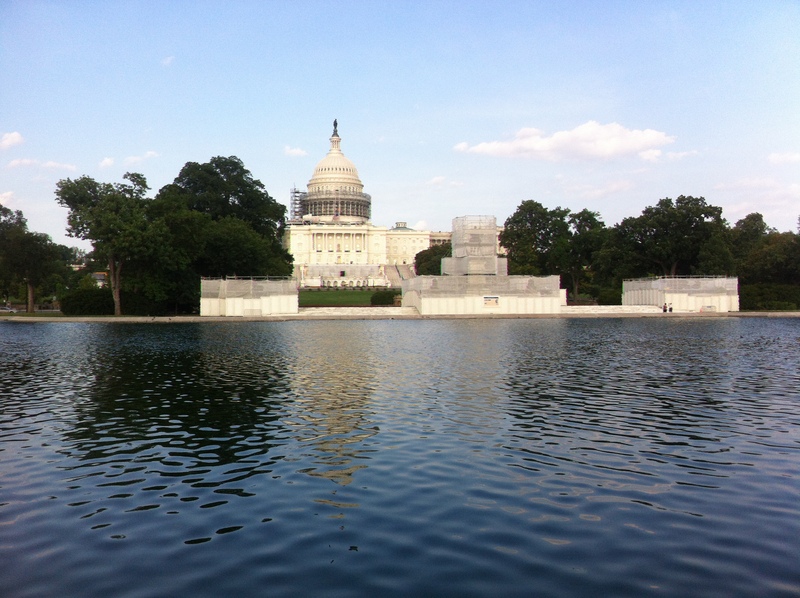 I set aside an evening to travel to nearby Washington, DC and walk and pray through the National Mall. I love the American people! I met so many kind and generous folks on this recent trip. Just one example (of many) was the lady ahead of me in the line up of cars on the interstate in Pennsylvania. We were backed up for miles because of construction, and were at a standstill. She could see that I was melting in the intense heat without air conditioning, even with the windows rolled all the way down in the car. She jumped out of her vehicle and ran over and handed me a frozen water bottle! God bless her! As I prayed for America this week, my heart overflowed with God’s love for the people. I thought not only of them, but of Christians worldwide who are struggling with how to live Christianly in today’s culture. “By the waters of Babylon, there we sat down and wept, when we remembered Zion. On the willows there we hung up our lyres. The answer is to remember. We remember our God and His faithfulness. We remember Jesus and His life laid down for us. We remember the Holy Spirit and His indwelling, comforting, abiding presence. And we remember the Kingdom of God and the promise of the New Jerusalem! If we do not remember, it is like our tongues stick to the roofs of our mouths, and we can’t sing of His goodness and glory. But if we remember, how can we keep from singing? After I stopped laughing at this student’s joke, inwardly I cringed. We teachers can be control freaks. In all fairness, though, it’s kind of expected of us. We’re expected to be in control of our classrooms. We’re expected to maintain order and not allow things to descend into chaos. We have to act as managers of many things all at once, all the time. There’s a difference, however, between governing and dominating. Students do appreciate it when a teacher keeps control of the class, but no one wants a Nazi for a teacher. It’s one thing to helpfully guide and contain your class, and quite another to act as if you have to control every aspect of it. It’s not healthy to regulate students so tightly that they can’t breathe. Not all, but some of the decisions about their learning have to be theirs. They need to be allowed to make attempts at things without being hovered over to ensure success. There are times it’s painful to let them make decisions that we know are going to lead to hardship and grief. It can be difficult to let go and watch a student struggle with something, and even fail. What can also be challenging for teachers is not to carry over the watchfulness we have over our classrooms into our daily lives and relationships. I was just talking about this challenge with a new teacher-friend this week. We agreed, sometimes it’s tempting for us to go into control-freak-mode and try to manage situations that we should be keeping our hands off of. Why can it be so hard to shake that mind-set, “If I don’t do something about this, then no one else will”? That mind-set reveals an attitude of pride and unbelief. So operating in pride and unbelief, we meddle in situations we have no business meddling in, all the while telling ourselves that we are trying to help. The truth of the matter is, we’d be better off minding our own business and leaving the person or situation to God. Yes, there are times when it’s difficult to know whether or not we should intervene and act. But something I’m learning (oh so slowly it seems!) is that I have to check my heart and my motives. Is pride in charge of me? Do I think that I have the right solution, and that I know what’s best? Am I harboring unbelief? Do I think it’s all up to me, and that God seems to be asleep? Am I operating out of fear? Am I afraid of what will happen if I don’t get involved, and am I trying to control the outcome to make it turn out the way I’d like it to? Have I made myself too important in my own eyes? Am I forgetting that God has other servants who are available to Him, perhaps someone much better suited for this situation than I am? I also think there is a direct correlation between how desperately we desire something and how likely it is that we will try to control the outcome. The more it matters to us, the more tempting it will be to meddle. So, what’s the cure when we find ourselves slipping into ctrl-freak territory? The first thing is recognising what we’re doing wrong, and confessing that to God, and to those who will keep us accountable for not doing it anymore. Repentance involves agreeing with God that I’ve been operating from a place of pride and unbelief, and affirming that He is God and I am not. If I think that I love a person more than God does, I am seriously deluded. When we ask why God would allow suffering, though, isn’t that what we’re calling into question? So I have to repent of how I am questioning His love, and affirm that His love is so much higher than mine, and His ways are higher than my ways. I’m in Genesis this week, and as I read again of Abraham binding his son Isaac to the altar, I was struck afresh by his trust in the faithfulness and love of God. That trust was unshakable, even in the face of what seemed like a cruel joke. That trust in the Father’s loving character was shown supremely in Jesus Christ as He faced the cross, and allowed God to have His way with Him, because He knew beyond all insinuations to the contrary that God loved Him. When we trust in the Father’s loving heart and allow Him to control us, then we can respond in faith to His promptings and obey Him in what He is asking of us in regard to others. We let Him be in control and with an attitude of trust and faith, we release the outcome to Him. The God who is the very definition of love is in control, so I don’t have to be.